This show was broadcast on November 5, 2015. 9/11 Free Fall: New engineer signatories, the phantom gouge, and nonviolence. 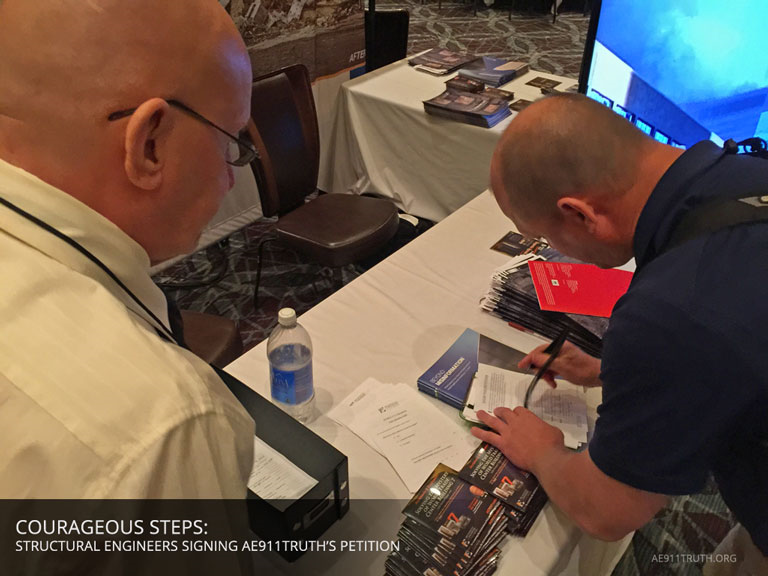 Tonight at 10PM EST/7PM PST: Host Andy Steele goes over the latest news and headlines from AE911Truth, including the acquisition of 25 new structural engineers at the NCSEA Structural Engineering Summit in Las Vegas earlier this month, the important role that social media plays in activism, and our response to questions about WTC 7’s phantom “gouge.” As well, he will share a special commentary on nonviolence from Dr. Martin Luther King, Jr. This entry was posted on Thursday, November 5th, 2015 at 10:27 am	and is filed under 9/11, 911 Free Fall, Anti-War, Censorship-Propaganda, Education, False Flag/Fake Terror, Freedom, News, Protest, Science, War Crimes. You can follow any responses to this entry through the RSS 2.0 feed.